I qualified from Liverpool University in 1999 and then continued within the hospital setting initially full time but then part time as an Associate Specialist in Oral and Maxillofacial Surgery after deciding to purchase a seven-surgery practice within North Wales. I completed my M Surg Dent which admitted me onto the Oral Surgery Specialist List in 2009. I completed my FDS RCS Ed in 2016. I have an avid interest of the Law within Dentistry and Oral Surgery and completed a Law Degree in 2017, which I now involved heavily with medico-legal reporting. I am currently undertaking a Post Graduate Certificate in Medical Education which will hopefully help as I have been a DF1 trainer for the last 12 years! I have sat on the steering groups that developed Oral Surgery services within North Wales and the application of e-referrals pan-Wales. 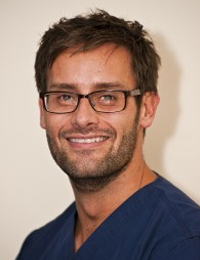 I am a Training Programme Director for North Wales and examine for the RCS Eng in the Diploma in Oral Surgery and MJDF. I feel completely honoured to be elected as a Council member for the BAOS and hope to serve you all well.